When you spend time with Palisadian David Anson Russo, it’s best just to buckle up and enjoy the ride. You will not be disappointed. 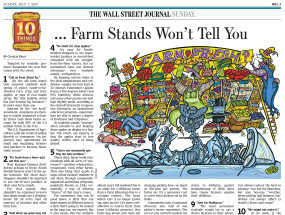 The fine artist never goes anywhere without pen and paper and loves spending hours sitting at restaurants drawing. At Beech Street, the waiter place glasses of ice water on little plates so as not to ruin the paper tablecloth that they know Russo likes to use as a canvas. He carries several pens with ink that lasts for 100 years, and creates three black-and-white pictures a day and one color picture a week. It is with great joy to share with you the recent Rage Monthly magazine interview tied into Russo’s featured artist appearance at David Geffen’s annual fundraiser, APLA (AIDS Project Los Angeles). The event has featured some of the most famous artists in the fine/pop art worlds over the years. 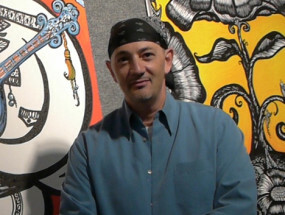 Needless to say it was an honor for Russo to be selected as this year’s featured artist. 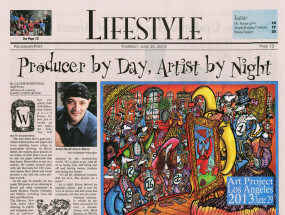 The 2013 APLA event program guide will feature 6 pages on Russo’s career/art. To view the article simply click this link Directions: Once the site loads in, click to see the current issue with Orange/LA Counties issue, then click on the Anniversary issue, at the top see pagination field, click on the right arrow to advance the pages to #58-59, Russo’s piece is on page 58. 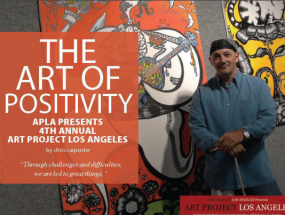 Los Angeles, Calif. (May 14, 2013) – AIDS Project Los Angeles (APLA) announces David Anson Russo, one of the world’s premier interactive artists, as the featured artist of Art Project Los Angeles, benefiting APLA. The luxury lifestyle charity benefit returns to beautifully renovated Bonhams auction house on Saturday, June 29 and will include a dazzling array of art up for bid in live and silent auctions.